Artist Vladimir Kush is suing Ariana Grande and a production company she worked with for copyright infringement over a series of shots in her video for God Is a Woman he says was lifted from one of his paintings. Kush is asking a court to issue an injunction to take the clip offline, which has racked up more than 197 million YouTube views since its July 13, 2018 debut. 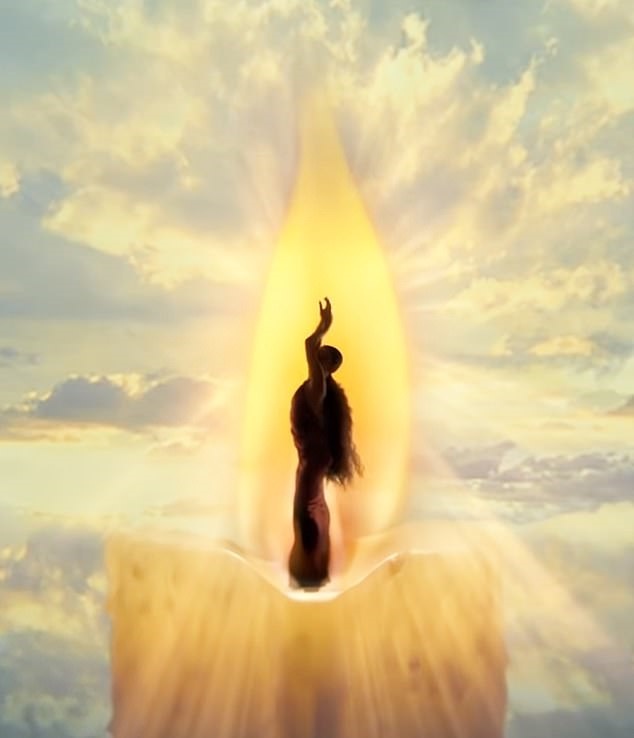 In the video, a silhouette of the Boca Raton, Florida native, 25, is seen dancing where a candle wick would be, with vivid, cloudy skies in the background. Kush said that around 2000, he produced a pair of paintings titled The Candle and The Candle 2, of which Grande and the production team at Freenjoy, Inc explicitly lifted the concepts to fit into the music video, he claims. Among the common elements in Kush's art and the outtakes of Grande's clip include the concepts, composition and background. In a description of the painting on his website, Kush described the concepts applied in the work. 'In the painting a woman holds the torch of the spiritual light dispersing the dark night of ignorance,' he explained. 'Inspired by spiritual passion she turns herself to the invisible forces of cosmos controlling the elements on Earth. Kush told the court that Freenjoy, Inc has a history of plagiarism, pointing to their past work on Kendrick Lamar's 2018 video for All the Stars, his Grammy-nominated track from the Black Panther soundtrack.